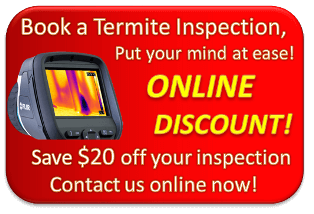 Commonly found nesting in dead trees stumps, native trees or in the ground, termites will travel across a property to get to another, creating some difficulty when trying to locate the source of the problem. 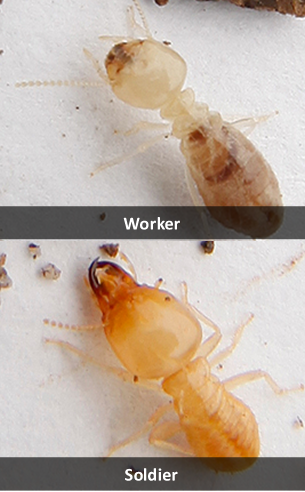 Recent research indicates that this type of termite can have multiple nesting points that link together and do not build mound-type nests. Check your Tibouchinas, Leopard trees, tallow-woods and paper bark trees as these are considered favoured nesting or feeding sites. Eats softwood and hardwood timbers, favouring weathered and moist timber. They tend to prefer the softer timbers, such as pine, however it is not uncommon to see solid hardwood turned to tissue paper.